There is a page in most Bibles before the book of Matthew and written on it is "The New Testament." 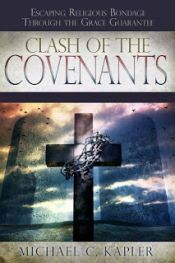 This single page added by the publishers of the book has caused much confusion about when the Old Covenant ended and the New Covenant began. As we look at Matthew and the beginning of the ministry of Jesus, what was His purpose during that sermon on the mount? Who was He talking to? We lay a foundation for upcoming podcasts to try to help us realize that Jesus wasn't providing a new teaching of Christian rules and laws but was revealing the true meaning and purpose of the Old Covenant law, soon to be obsolete.